Feb 6 Why do Councils never change? Business owners are forever changing the way they do things to keep up with changing times, and part of that is learning from past mistakes. Why don’t Councils do the same? Many Councils seem to do the same old things time and time again and often don’t appear to learn from previous failures. My comments come following a press release I received last week from Orange Council inviting the public to be part of shaping Orange’s CBD through their Future City program. It sounds typical of the process that Councils have used for years and, speaking as a businessman, the method they use still doesn’t make much commercial sense. Let’s for a change, consider coming at it from a Put Orange First perspective. Let’s not engage and pay city-based consultants a huge amount of money for what capable locals could do, and probably for a fraction of the cost. Let’s not have another expensive consultant’s report end up in a drawer somewhere in Council, never to be actioned. Let’s not invite people who have no business acumen, appropriate experience or skills to have input into something that is way above their pay grade. Let’s think outside the square. 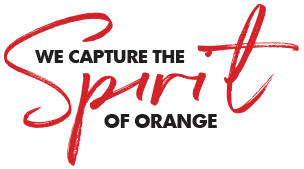 Let’s only involve people who have the right skills and abilities, let’s involve locals who live here and have a genuine heart for and interest in Orange. Let’s really work the problem and come up with practical solutions, solutions that will produce tangible economic benefits for our CBD businesses and not just superficial benefits, solutions that will significantly address what Orange’s CBD needs right now to present locals and visitors with a great and want to come back experience. If Summer Street was my business, and bleeding, I’d very quickly identify those things that I could quickly and cost effectively freshen up. I’d certainly do something to brighten up the garden beds up the centre which currently look anything but nice. I’d paint all the flag poles and make sure there was always banners flying. I’d have generic banners to use for those times when event banners were not being used. I’d install more of the picture boards and feature images of Orange’s colour rather than of Banjo Paterson. I’d work with shop and property owners whose shopfronts needed painting or a makeover. I’d set up a fund and offer them the opportunity to apply for say dollar for dollar financial assistance to improve the look of their street presence. Then I’d invest some money to advertise and market the area. I certainly wouldn’t spend millions of dollars in the same way Councils have in the past. Governments have a history of spending money willy-nilly, and often pay humongous amounts for things that most of us would pay a lot less for. Who will forget the school’s building program a few years back where small school sheds and buildings were said to cost millions. No one thought that made sense. Gee I wish Councils, and governments at all levels, would change the way they do such things and show some more wisdom so we’d get far better outcomes and value for rate and taxpayer’s money. Bob Holland is the Owner/Publisher of local independent magazine, Orange City Life.